by Brenda Langton, Tastemaker in Residence - Author & Owner-Spoonriver Cookbook & Restaurant - Minneapolis, MN. Better than any baked beans, these are sweet and savory. Again, if you want to add some diced carrots, onions and celery simply saute’ ½ cup each of them in a tablespoon of olive oil for 5 minutes and add to the beans for the last 5-10 minutes. Soak the beans for at least two hours. You can soak them longer. Drain and rinse the beans. 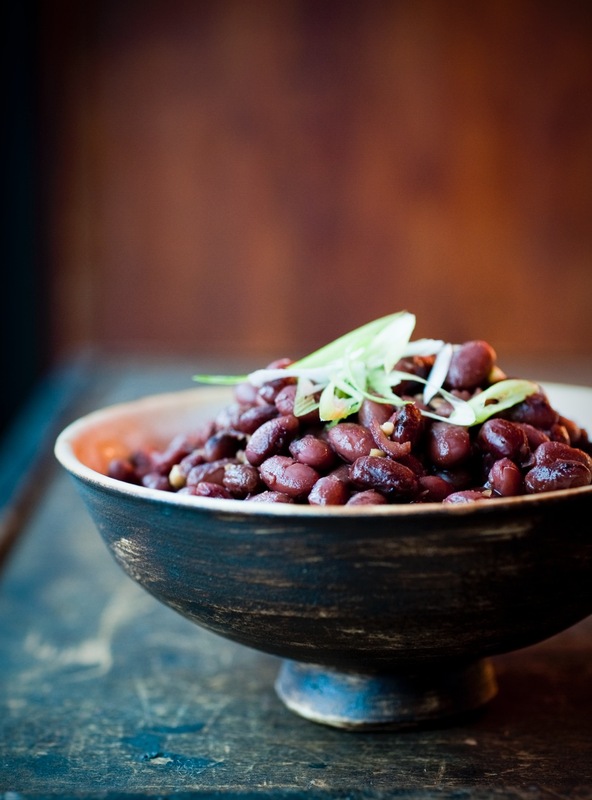 Cover uncooked beans with 3 cups of water. Bring to a boil then turn down heat and simmer for 1 hour or until tender. If excess liquid drain off all but ½ cup. Add salt, soy sauce, ginger and maple syrup. Cook for a couple of minutes and Serve.